Front view of the dolly. 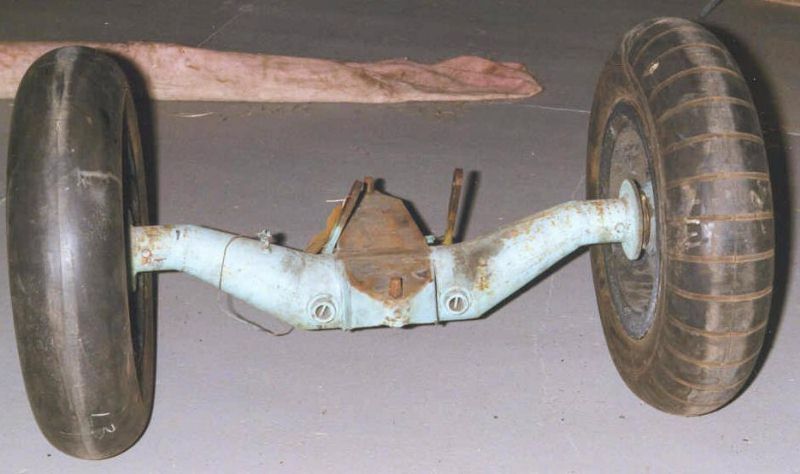 The rust clearly shows from what material the axle was made. The rest of the axle appears to be painted in RLM 76. The tyres obviously differ vastly, but it seems that both smooth and transversely grooved tyres were used on the Komet.